Pupils from Maple Court Academy in Stoke are one of the many schools taking part in the new Premier League Writing Stars poetry competition. 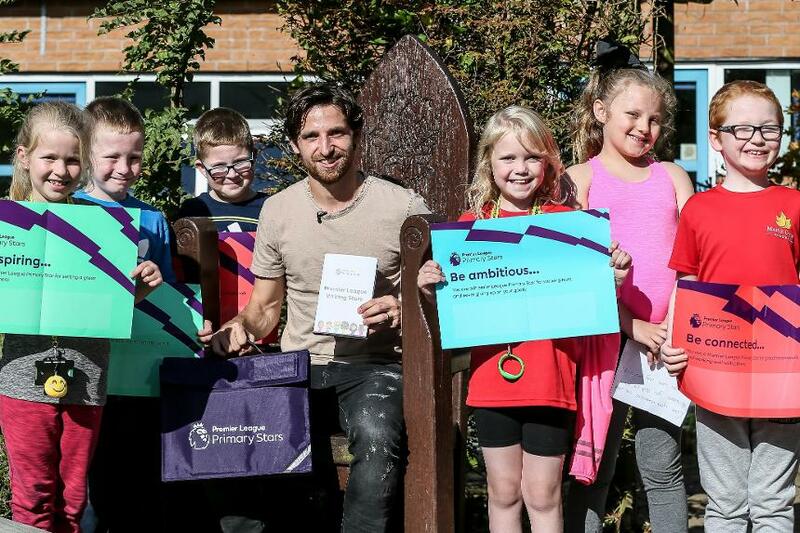 And last week they had the chance to read their poems to a special guest as Stoke City midfielder Joe Allen dropped in to lend his support to the project. 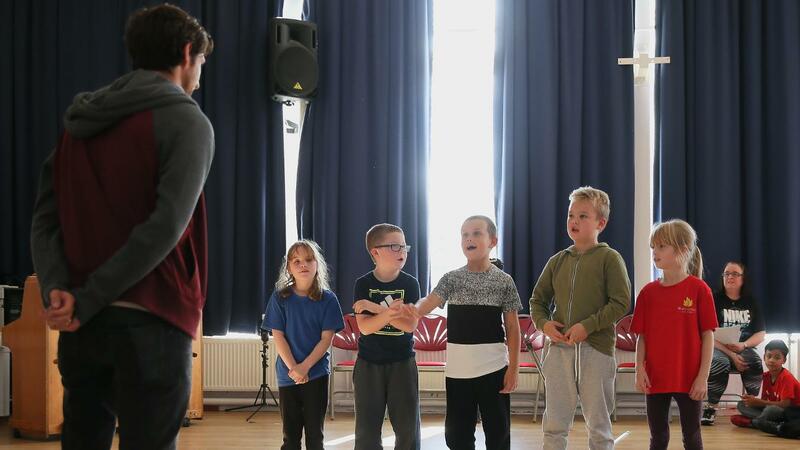 PL Writing Stars is open to all primary schools in England and Wales and aims to get young people writing poetry in different creative forms. "It's a fantastic scheme," Maple Court deputy principle Sam Cooper told stokecityfc.com. "All the children have loved and embraced it. "With the Premier League behind it, it gives that something extra for the kids to be passionate about. "It's great to have Joe here as well. I can't tell you how much of a buzz it has created at our school having a Premier League footballer here." The competition is inspired by the William Hickson poem "Try, Try Again" and asks schoolchildren aged between five and 11 to show their writing skills around the theme of resilience; what does it mean to you to try and try again? Allen heard the poems written by the Maple Court pupils and gave encouragement to the children at an assembley organised by Stoke City Community Trust. "It's great to be able to help inspire the kids through Premier League Writing Stars," Allen said. "The pupils read a few of their poems to me today and they were fantastic. "The theme of resilience is certainly something that is important to me as a footballer, so it's great to see that the children are being taught these values from a young age." The poems will be judged by literary and football stars: former Chelsea midfielder and children's author Frank Lampard; Lauren Child, the author-illustrator of the Charlie and Lola series and Waterstones Children's Laureate; Yannick Bolasie, the Everton winger and lyricist; and Young People's Laureate for London, Caleb Femi. Teachers and parents can register or nominate their child's school to take part at PLPrimaryStars.com. The first 1,000 schools to enter the competition will also receive a bespoke "Book Bag" of poetry.